If you have never heard of it let me start by saying that you pronounce the stuff ‘jag -uh -ray’ and that it is a very popular form of sugar in Southeast Asia which also happens to be my part of the world. Given that sugar lovers all over the world are on the constant look out for an alternative to their regular refined sugar, it is surprising that so few have heard of or use jaggery outside of Southeast Asia. Jaggery is a brown colored and extremely tasty unrefined type of sugar. Not quite as sweet as the better known maple syrup and slightly thicker in texture than honey, jaggery can boast a delicious taste very similar to brown sugar. If I tell you that many people compare it to a cross between molasses and caramel, you may start wondering why you aren’t using it. Jaggery is typically made out of the sap of tropical palm trees. I guess this partly explains why it is relatively unknown in most areas of the world. Unfortunately for health conscious Americans, palm trees are not prevalent in the US. Jaggery does not come from one palm tree in particular. Indeed, it is derived from a variety of different palm trees including sago, date and coconut palms. Like maple syrup, jaggery is extracted from the trees by a tapping process after which it is bottled down into a form that you can use in various ways. Where I live in Thailand, jaggery is used in numerous recipes that call for sugar and also used as a popular sweetener for tea, coffee and juice. It is also possible to get jaggery from sugar cane. After they are crushed to make cane juice, this liquid can then be boiled down again and reduced further to produce jaggery in a similar way as molasses is produced from sugar cane. Interestingly enough, the fact that jaggery production does not need expensive refinement means that just about anybody with access to the right type of tree can produce it. Once the tapped liquid is reduced, there are various ways in which it can be used. As well as being sold in its raw form as a sweetener, the syrup is sometimes cooled and then cut to make candy or combined with other ingredients such as coconut or nuts to make sweet treats. In some countries like Myanmar and Thailand, jaggery candy is rolled in tamarind to make small balls which are coated in coconut flakes before being eaten. If you have a sweet tooth and find it impossible to go without sugar, then jaggery may be a great alternative. Not only does the stuff taste great but it is considerably better for your health than the regular refined sugars that the majority of people use. It is a great sweetener; I know that there are any number of potential sugar alternatives on the market today. Unfortunately, many of these sugar substitutes come with potential health risks. Products like sucralose and asparteme have risen in popularity but many experts believe they bring a variety of potential health risks to the table. This is where jaggery comes in. Let me tell you that jaggery makes a great sweetener for your coffee, it provides a unique burst of flavor that you do not get from regular white sugar. My wife uses the stuff in a lot of her cooking and without being too specific, I can say with certainty that the cooking tastes great. Not all sweeteners are alike. If you were to taste a cup of coffee with a spoonful of white sugar and then compared it immediately to a coffee sweetened with jaggery, you would immediately notice the difference. Simple carbohydrates are known to give you a real boost of energy when they are oxidized in the body. That is why athletes and people suffering with fatigue often feel the need for carbohydrates and sugars. Because sugars get absorbed so quickly by the body they can provide an instant energy burst but unfortunately, sudden burst of sugar levels can cause medical issues. Sudden surges in energy and blood sugar levels can cause damage to the body and in the long run may even result in a person developing diabetes. Compared with regular white sugar, jaggery contains more complex carbohydrates. Unlike regular, refined sugar, it is digested and then absorbed into the body far more gradually. This means that the energy available from the sugar is released over an extended period which is safer for the body and provides you with energy that can be used for a longer period of time. Given that refined sugar is pretty much devoid of any nutritional value, this is hardly a huge claim to fame. You certainly cannot claim that jaggery is some sort of nutritional powerhouse but when compared with your regular sugars and many artificial sweeteners, it does provide certain value for your body. It contains several different minerals including iron, zinc and selenium. These minerals can help boost the body’s supply of red blood cells and also help to boost the immune system. It sounds strange that a sweet sugary substance could help smooth the digestive process but that is exactly what is recommended by Ayurvedic practitioners in India. Some recommend that taking a spoonful or so of jaggery following a heavy meal can help facilitate the digestive process. Acording to proponents, jaggery can help stimulate the digestive enzymes meaning that digestion happens quickly and more smoothly. I cannot vouch for this effect any more than my research into the substance tells me to be true. It certainly sounds odd that a sweetener like jaggery could help cleanse the body of toxins but proponents claim that it does exactly that. Traditional doctors in India and other parts of Asia as well as folklore claims that jaggery can help cleanse the intestines and respiratory system of unwanted foreign bodies and toxins. Apart from being used to make candy and sweeten food and drinks, jaggery has a variety of other uses in parts of Asia. It has been used as a building material when mixed with sand, lime and clay and used as an adhesive material for bricks. 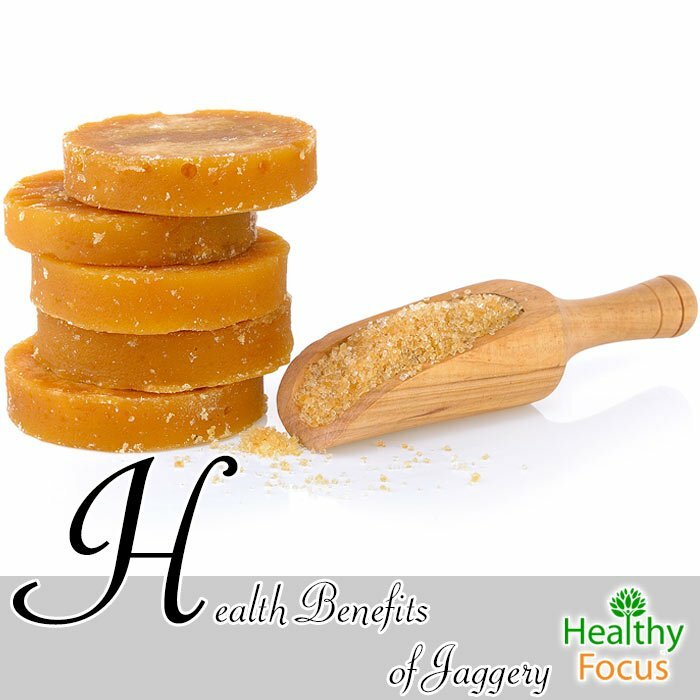 Jaggery is sometimes used as a toothpaste in certain parts of India. I cannot imagine that rubbing what is effectively a sugar onto your teeth is especially good for them but it remains popular among portions of the population. It is often used as hunting bait when hunting wild animals or as fishing bait in combination with various other ingredients. To sum up, if you are one of the many people that cannot go without their sweet sugar fix, you could do a lot worse than jaggery. It has a unique and rich flavor that I feel you will appreciate and is definitely a healthier option than your regular sugar. Give it a go and let us know what you thought of it.